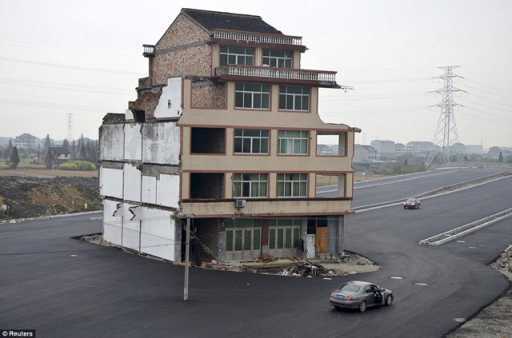 An isolated five-floor building is standing in the middle of a new road that will soon be open in Wenling, Zhejiang province, the People's Daily reported. 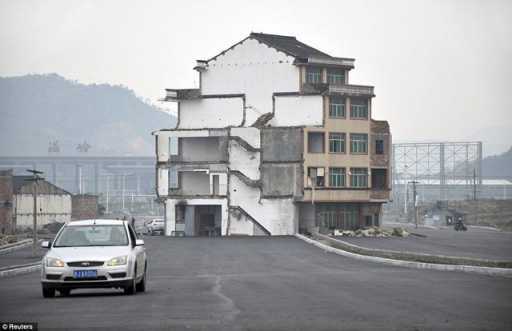 A family from Xiazhangyang village insists on living on the isolated building, because they are not satisfied with the relocation compensation offered by the government, the neighbors said, according to the captions of the photos taken on Wednesday. 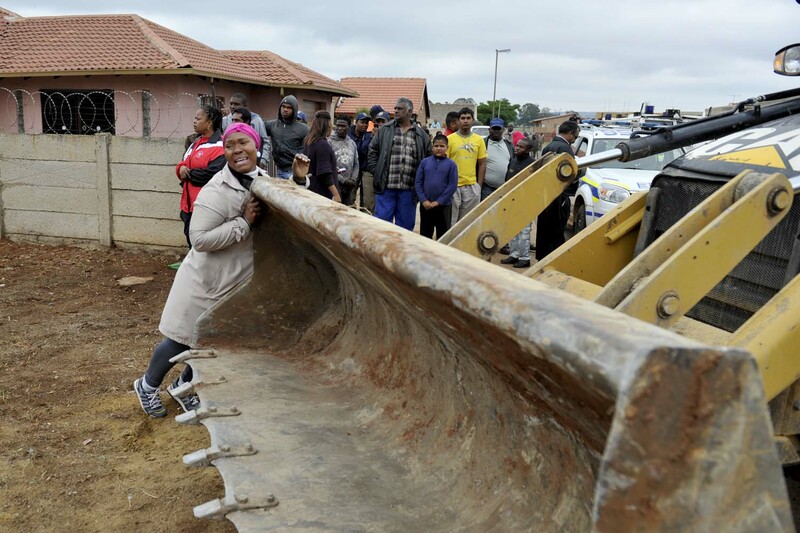 To guarantee their safety, neighboring rooms next to them are being kept from demolition, though the neighbors all moved out. 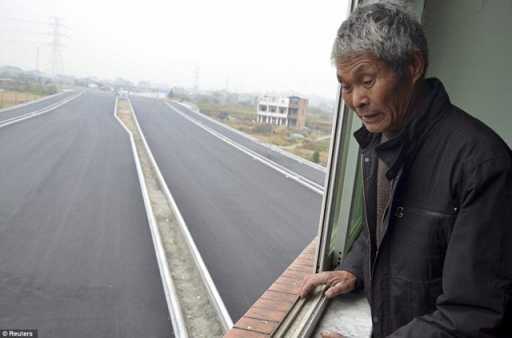 The road, which leads to the Wenling Railway Station, hasn't been put into use yet. Kweli huyo kichwa ngumu, huko hayapiti malori nini? Au haya maserikali yanatakaga kumuzulumugi? Huenda ukawa unaongea ukweli jombaangu! Si rahisi kwa serikali yenye dola kuvumilia umbwiga wa mtu mmoja tu kuvuruga mpango mahsusi wa serikali! Huyo mtu akiona greda mbili zimekuja hapo mwenyewe ataomba nusu saa aondoke! Au labda atalizuia kwa mikono kama huyu pichani! hivi kweli haina akina ighondzu wake wazee wa kung'oa kucha bila nganzi,bongo tungemuokota mabwepande kajifia siku nyingii!